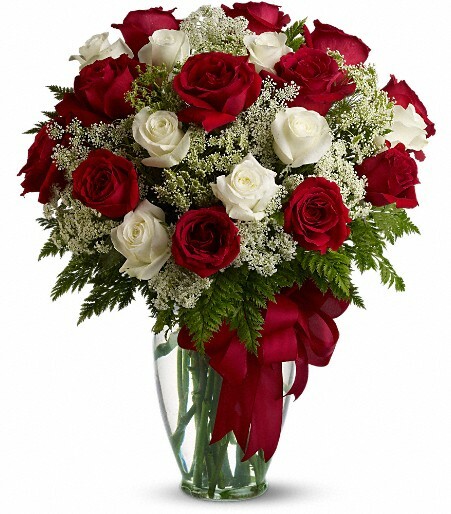 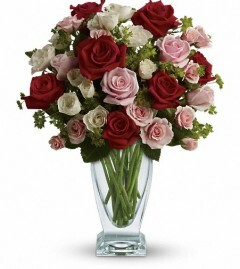 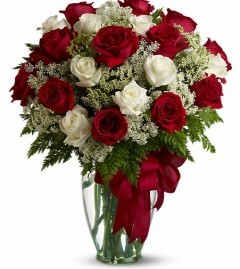 This beautiful mix of red and white roses – accented with Queen Anne’s Lace, and adorned with a bold red ribbon – is a timeless gift for your beloved.Red and white roses accented with Queen Anne’s lace and more are delivered in a glass vase accented with a red satin ribbon. 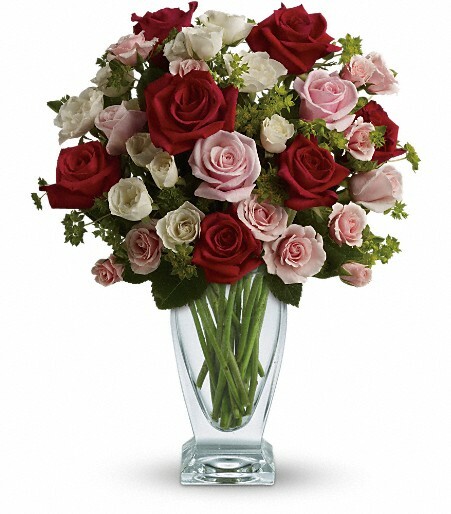 Classic beauty and romance to spare, thanks to the graceful lines of a Couture Vase filled with stunning roses – the iconic flower of love.Exquisite red and pink roses, white and light pink spray roses and greens are perfectly arranged in a lovely Couture Vase.Rose bouquet includes. 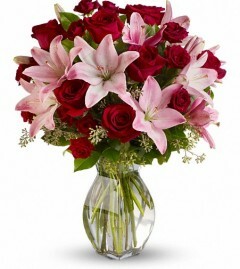 Lovely reds and pinks come together in this lavishly romantic anniversary gift. 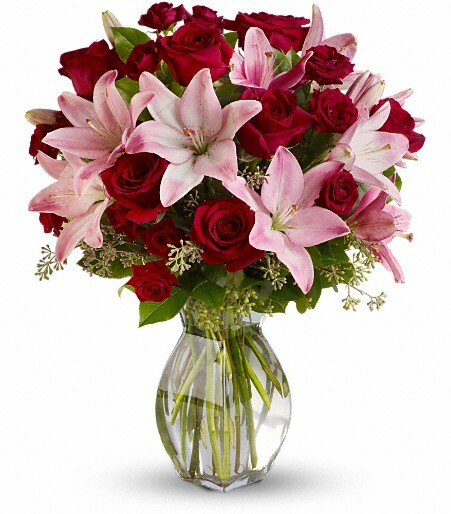 Sweetly sentimental, this combination of colors and flowers is a delightfully fresh way to say “I love you.”The exquisite bouquet includes red roses, red spray roses and light pink lilies accented with assorted greenery.